After reading a post about How To Get More Traffic, I decided to look into at least one thing that I had not yet done and that was ask you, my readers, what you would like to see me write about? I have such a diverse background and have great stories to tell. I’ve been doing a lot of Post A Day from WordPress, which I have thoroughly enjoyed, but is it what you want to see? Many of you have heard me tell a story or two (or more). What story would you like me to tell? Is it one I’ve already told? Is it one that you haven’t heard before, or one for which you didn’t hear the ending? That doesn’t mean that I’m going to change everything, because I will still write a thing or two from Post A Day. Maybe I’m missing a story about my personal endeavours or my work experience. You tell me. We meet at the bookstore, looking at the sci-fi novels, comics, mysteries and all the others in between, covering which ones we have and which ones we don’t. We go through the DVD section discussing which movies we’ve seen and which ones we haven’t. We decide that you have way too many that I haven’t seen, so we’ll need to start going through them and sorting them out. We walk outside and grab an ice cream. We walk around fro a while, find a park and continue our conversation. Good luck trying to shut that discussion down! The ice cream is melting faster than it can be consumed. and it starts dripping, making a mess. It starts dripping on my hands, so I have to finish it off quickly. There is a trace left on the corner of my mouth. Before I have a chance to wipe it away, you stop my hand from moveing and you lean in towards me, kissing me gently and slowly. You place your hand on my cheek, draing me closer to you, committing to the kiss. it doesn’t last long, but it managed to shut us both up. Change the end of any famous story, true or fiction. I just did a post last week about writing a book, so this is a bit of a follow up to that. I took an English course at Ryerson University in Science Fiction. I didn’t think I would enjoy it because it was my third choice. The other two didn’t have enough enrollment, so I settled for this class. Boy was I pleasantly surprised! We were charged with writing something creative in the style or based on one of the books that we read during the semester. I was inspired! A few years earlier, I’d been party to a role-playing game that we called “Shadow Shui”. 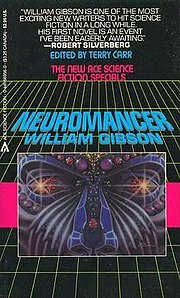 It started out as a Shadow Run campaign, which is a cyber-punk style based on the William Gibson book, Neuromancer. Part way through, we changed the mechanics of the game to a system called “Feng Shui”, but continued the main story line, hence Shadow Shui. This was one of, if not my favourite campaign. I loved my character and did my best to never miss a session. I even recorded everything in Excel spreadsheets to make sure I had everything at hand. We had to take a break from the campaign because some people’s schedules changed. We were almost finished and could have probably finished it during a long weekend. I bugged the game master to finish it for years. One day, I asked him again when we were going to finish it and another player who was standing beside us said, “Are you going to tell her?”. The game master decided not to finish it and let everyone write their own ending to the story. I was dumbfounded! He couldn’t do that! Well, he did or rather…didn’t. This was my chance! The prof loved my proposal and off I went. Hence, Shadow Shui: The Story was born. I got a great mark on it and was truly interested in writing it. I joined a writer’s group at a local bookstore run by a friend of mine. After the store closed, I put up shadowshui.wordpress.com. I hope you will enjoy the story’s “end” since I hope to continue it further someday. UPDATE: I’ve just realized the difficulty with my blog link. I’ve just corrected it. Sorry!